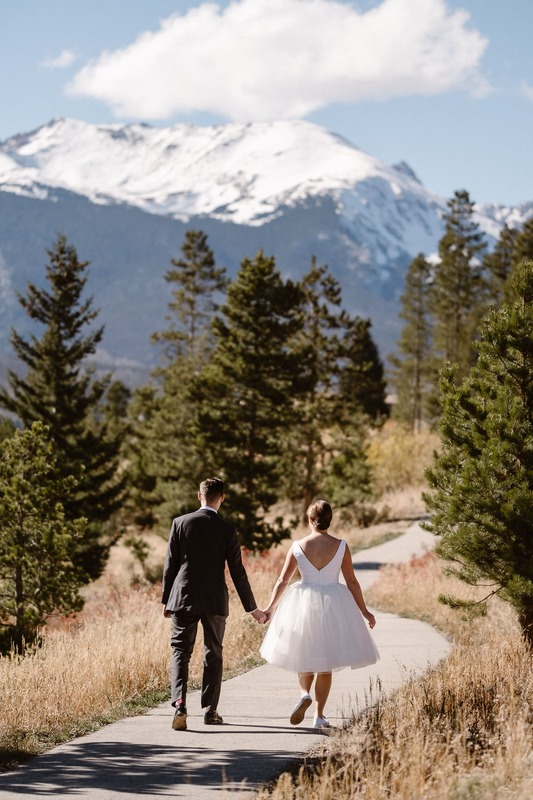 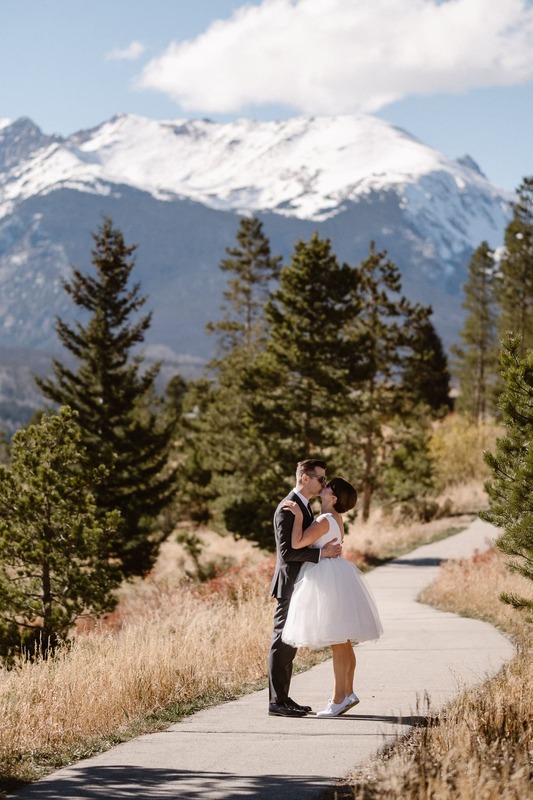 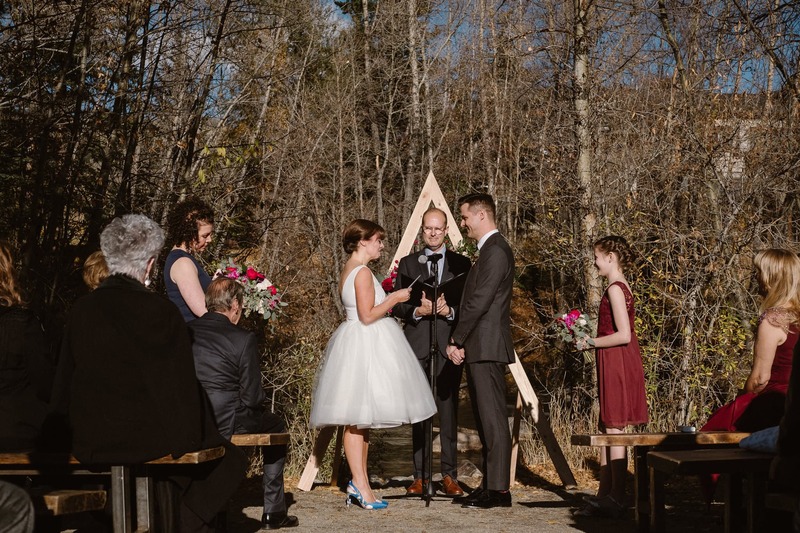 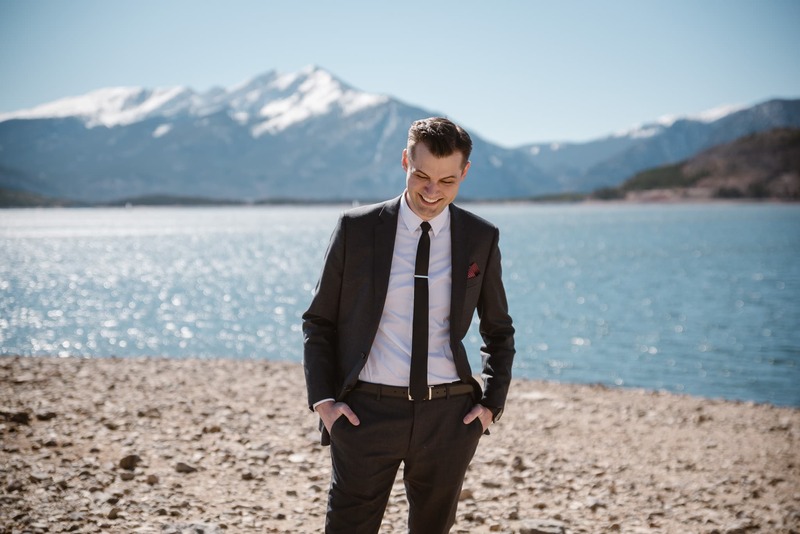 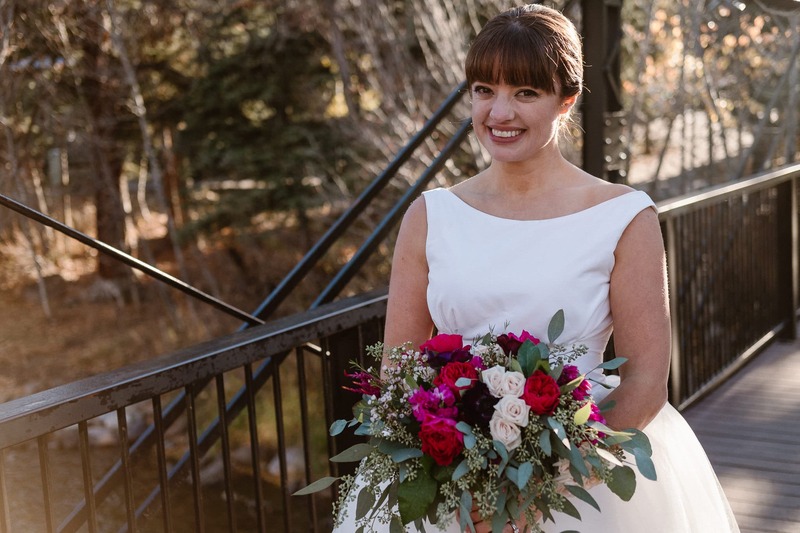 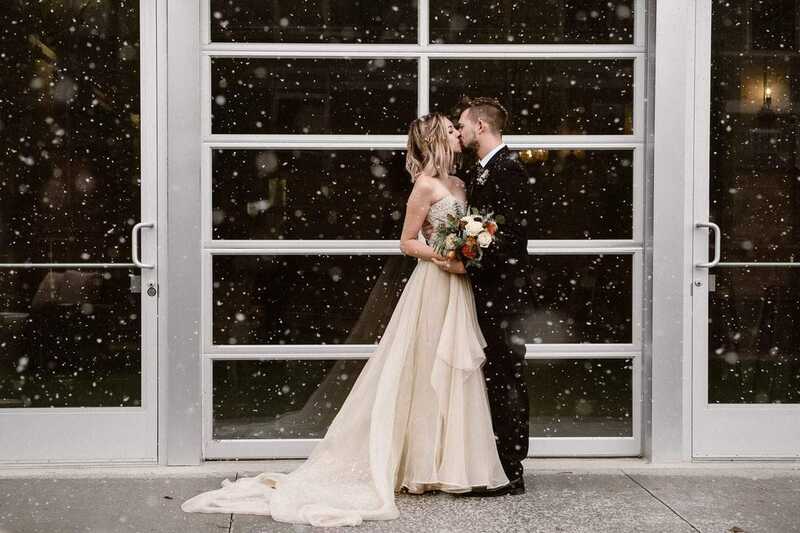 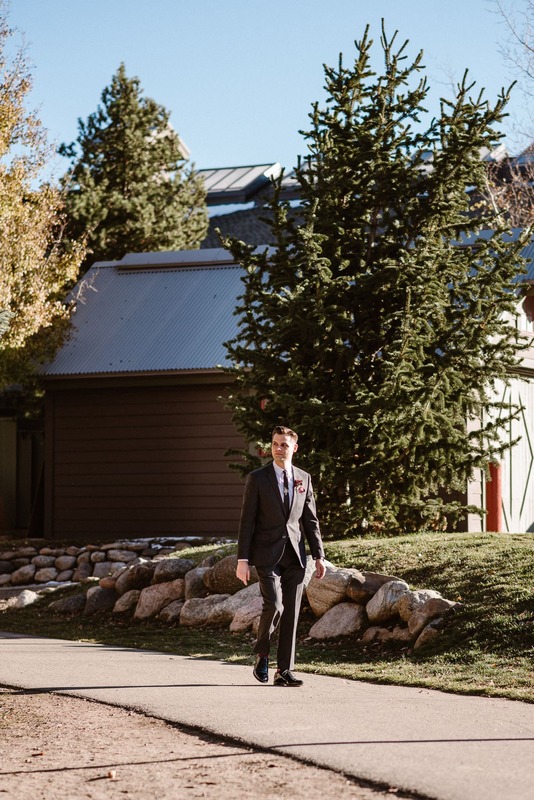 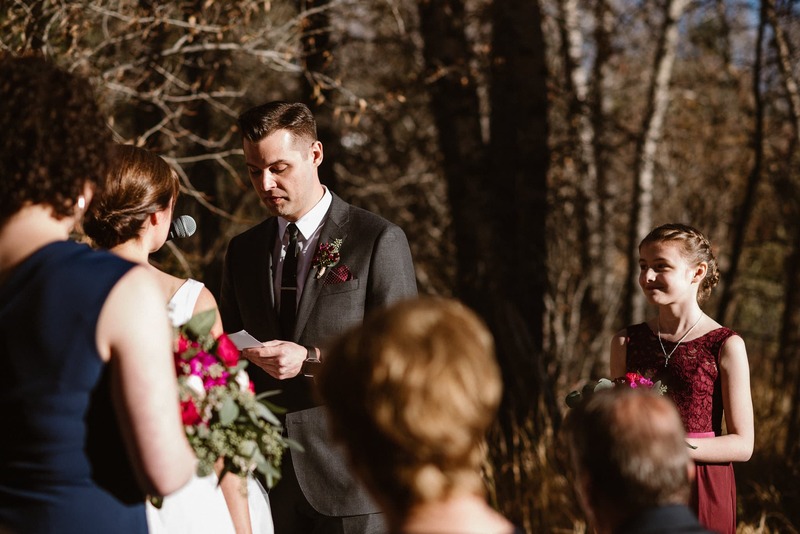 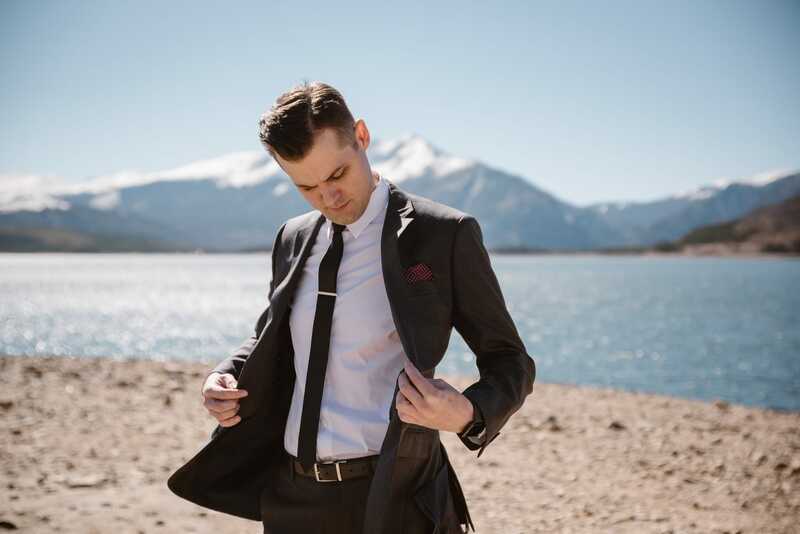 Mindy and Derik’s Silverthorne Pavilion wedding was at that time of mid-October where Colorado can throw any kind of weather our way. 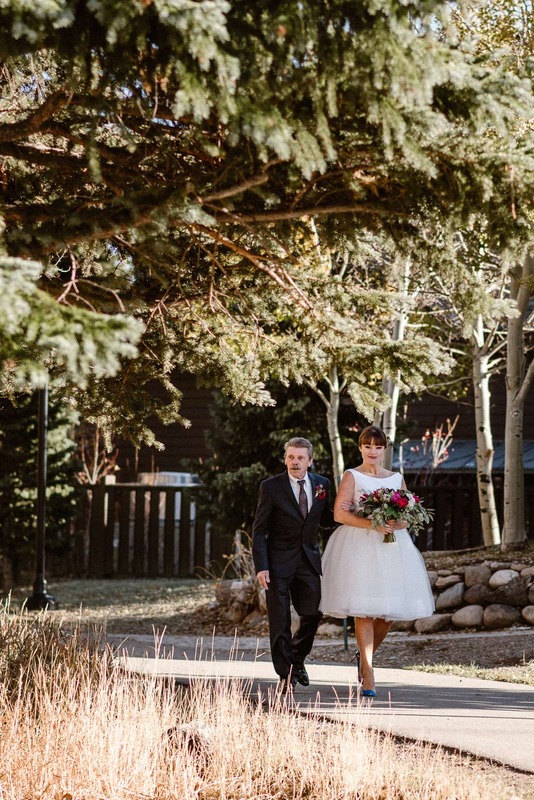 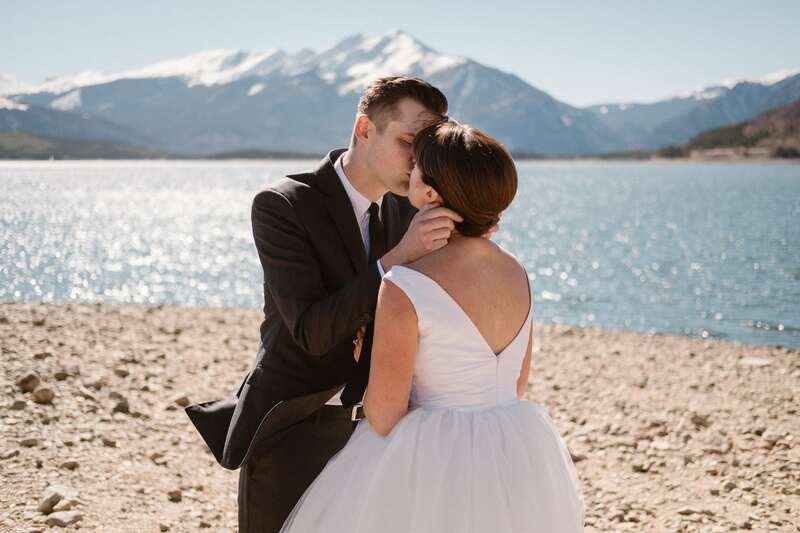 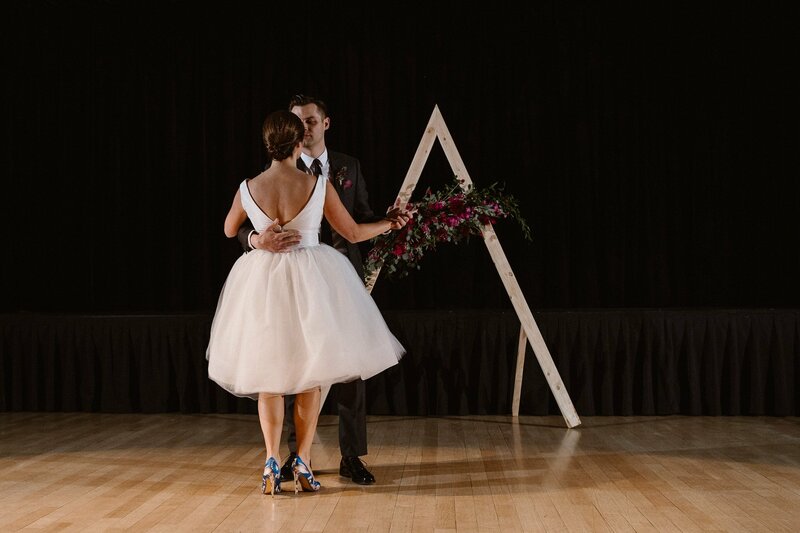 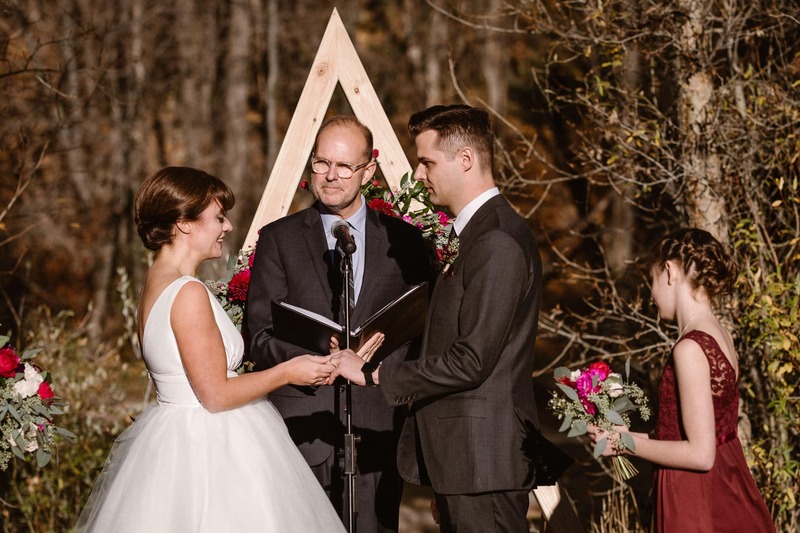 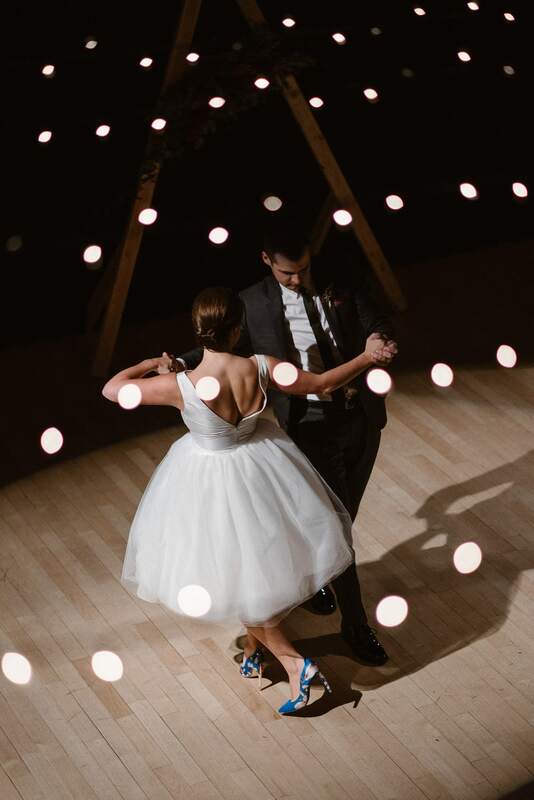 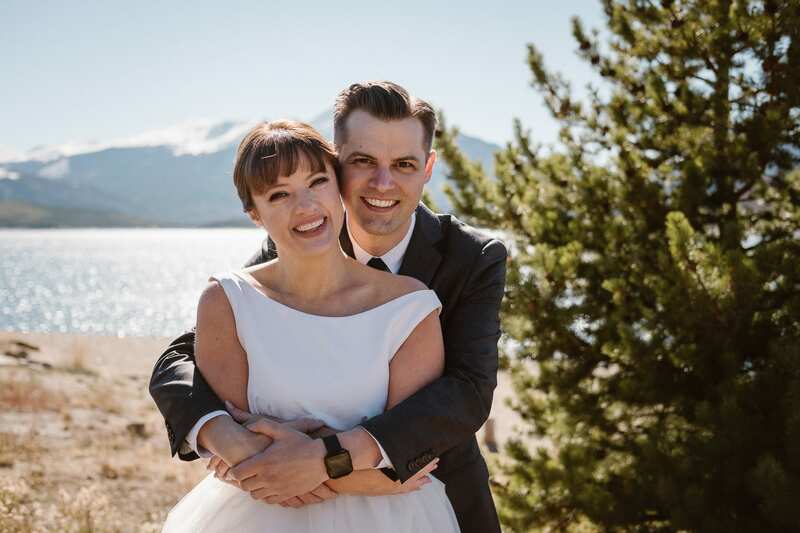 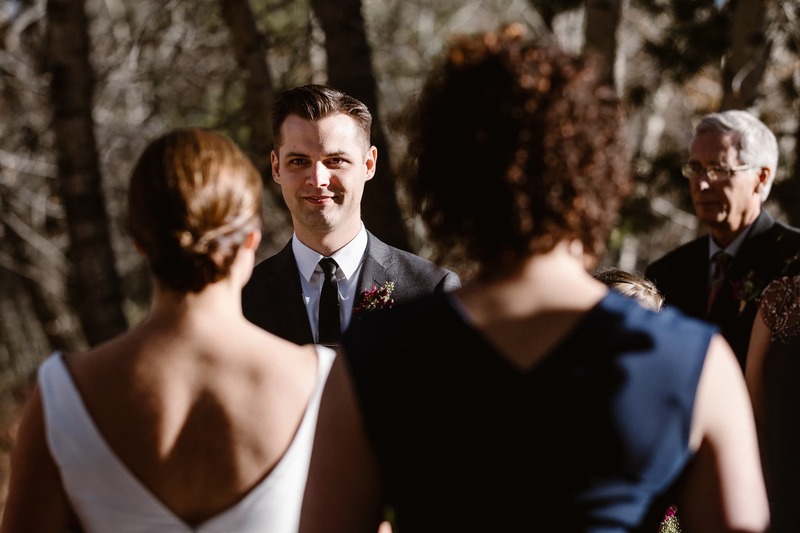 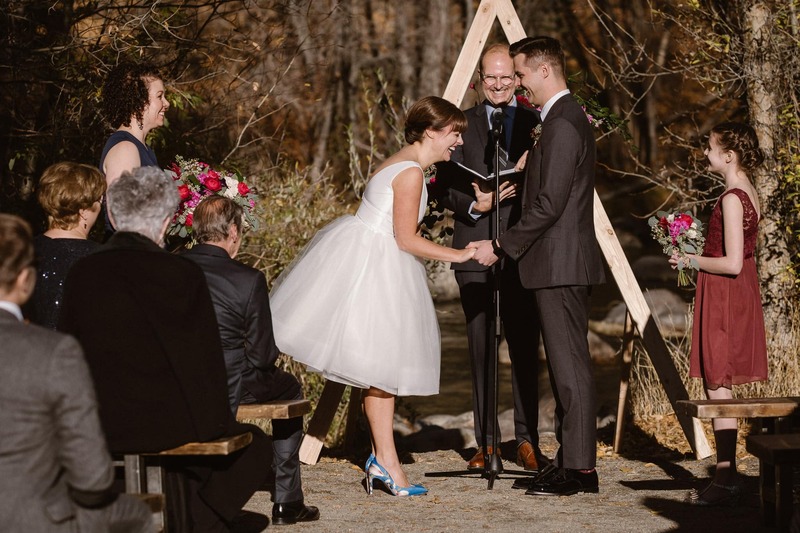 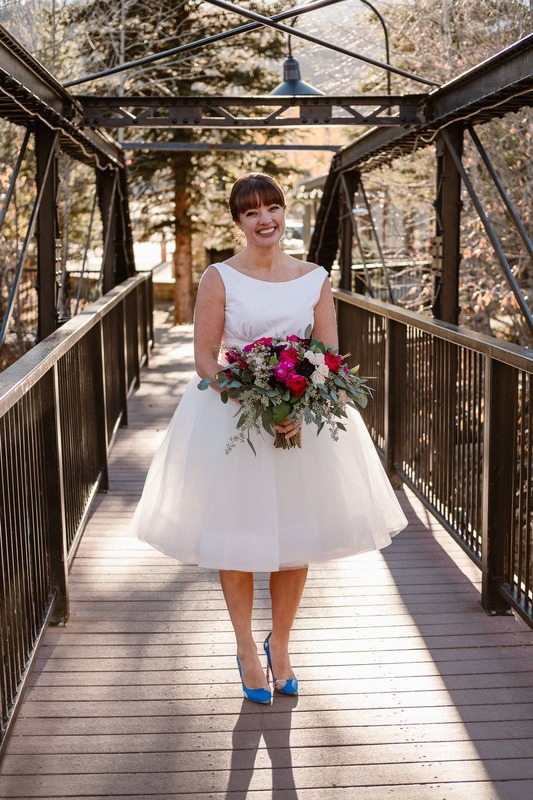 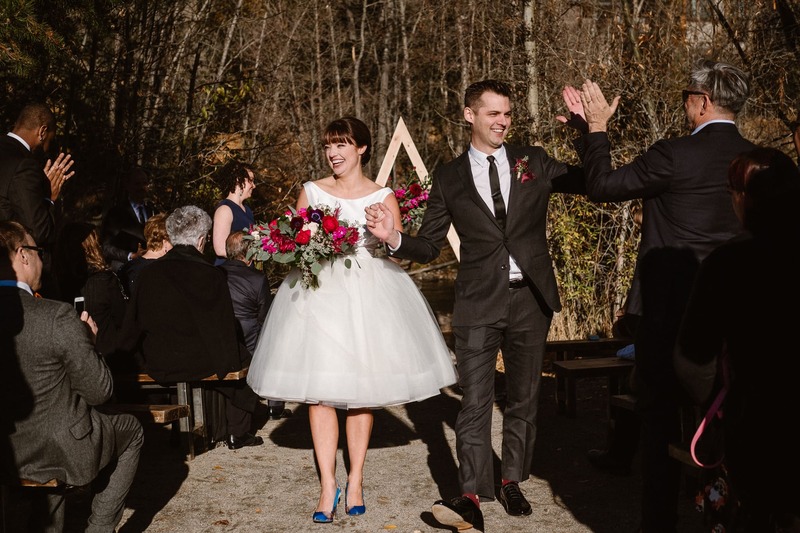 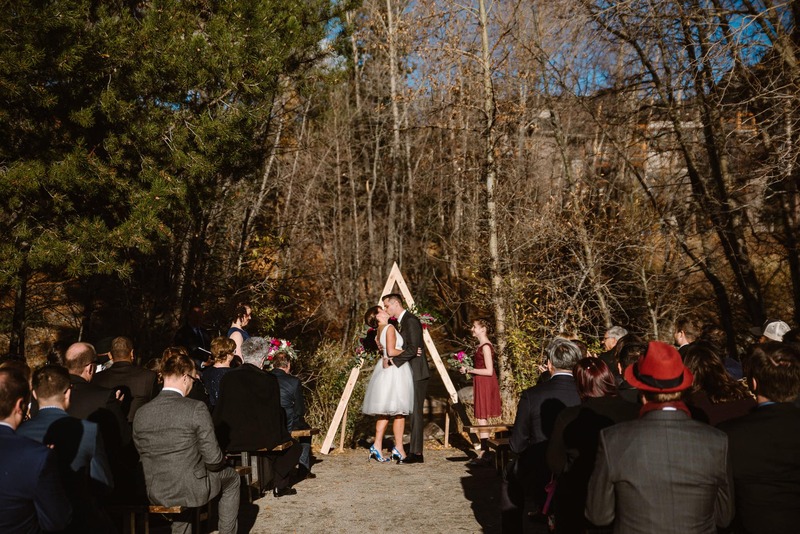 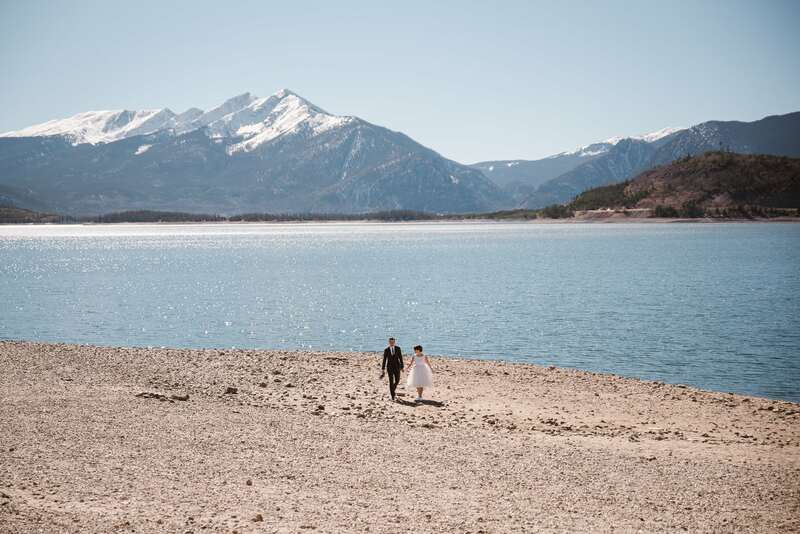 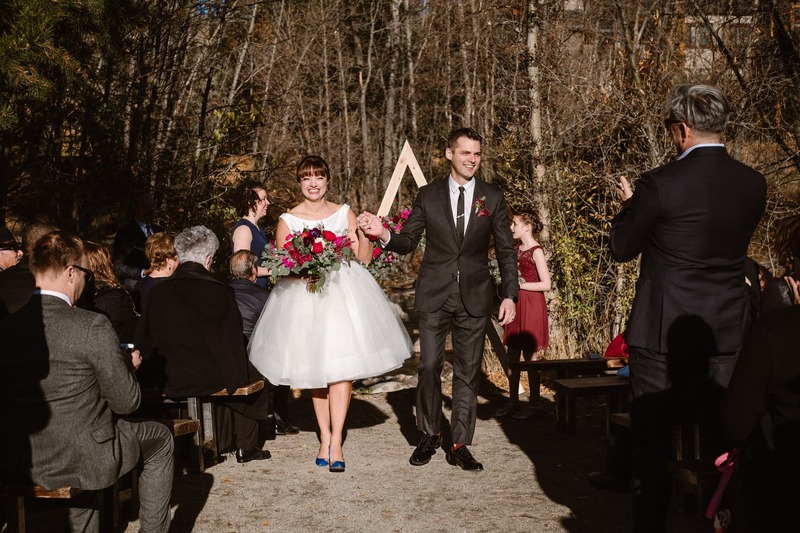 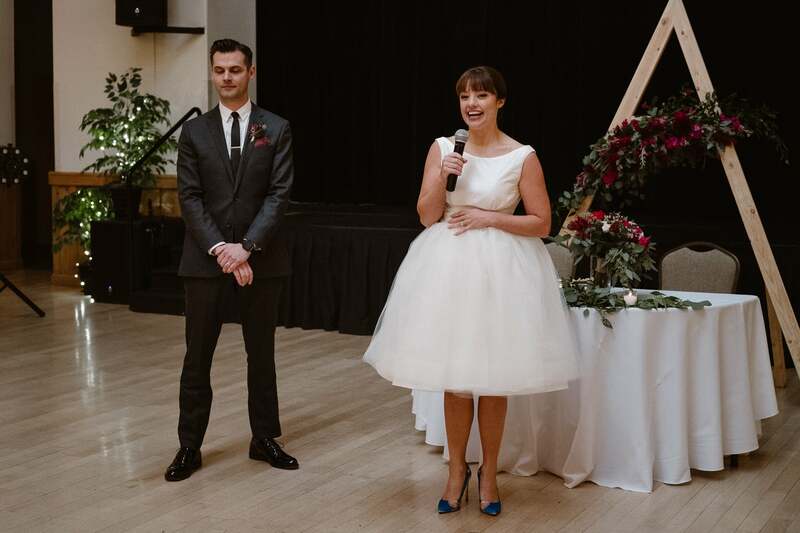 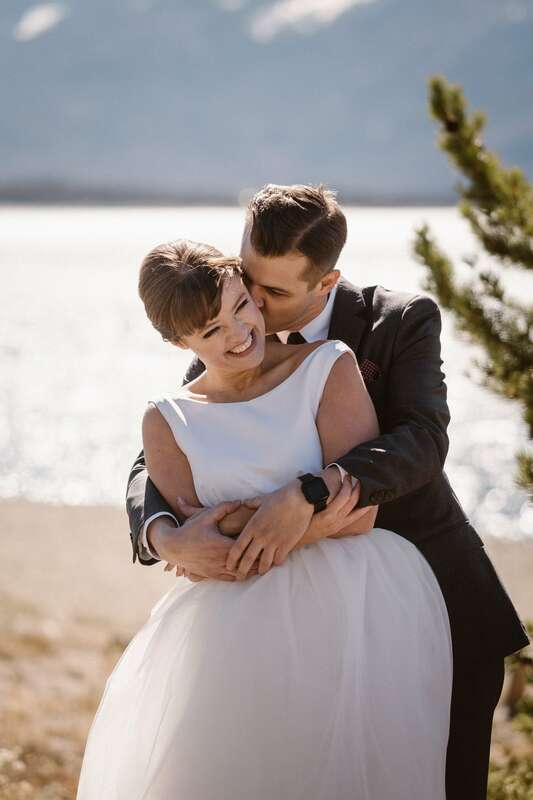 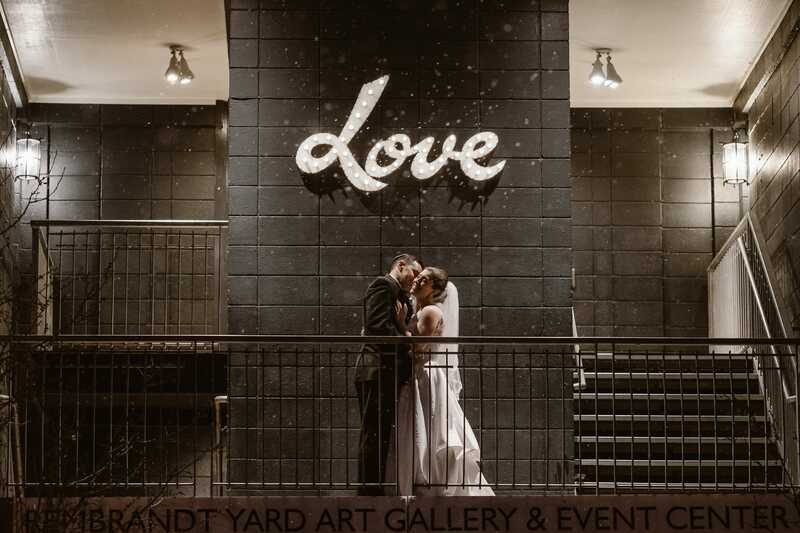 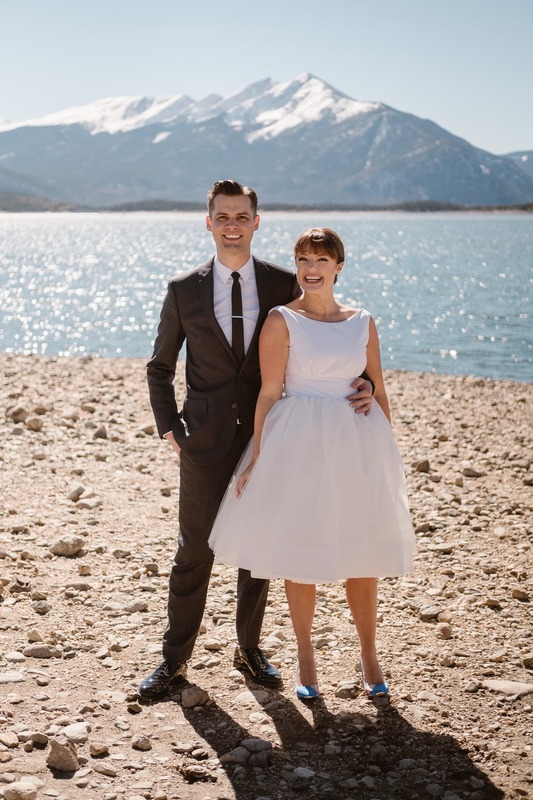 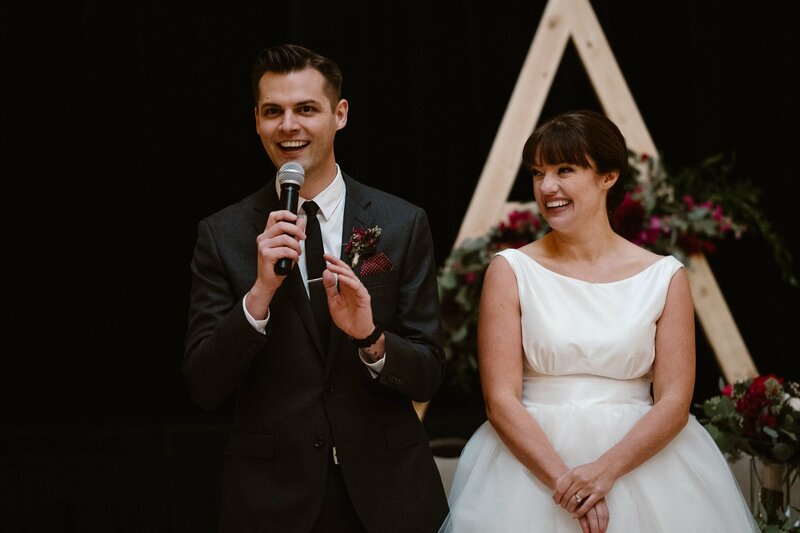 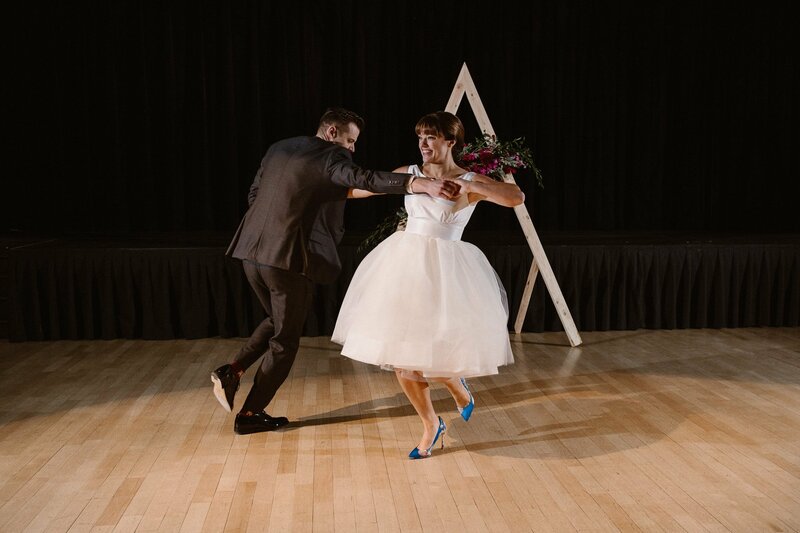 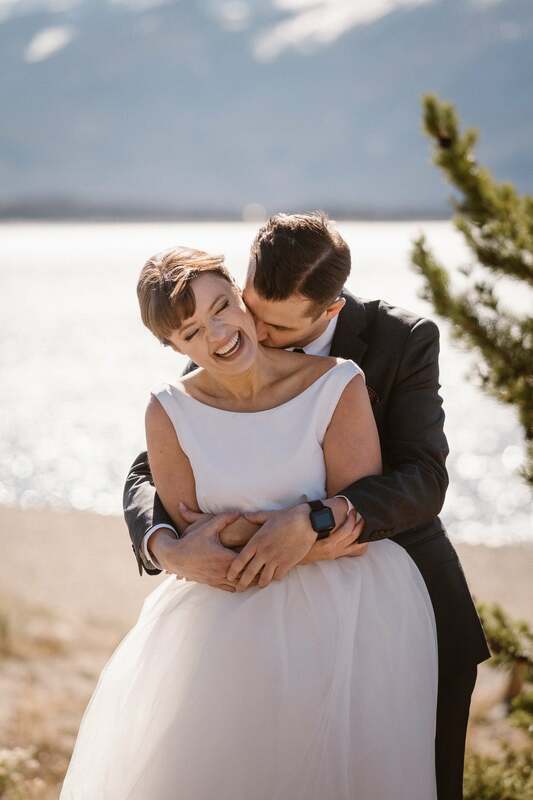 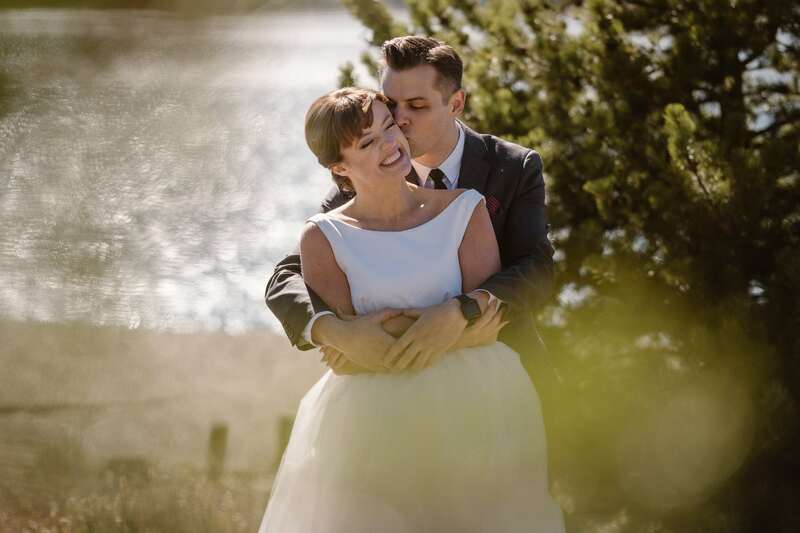 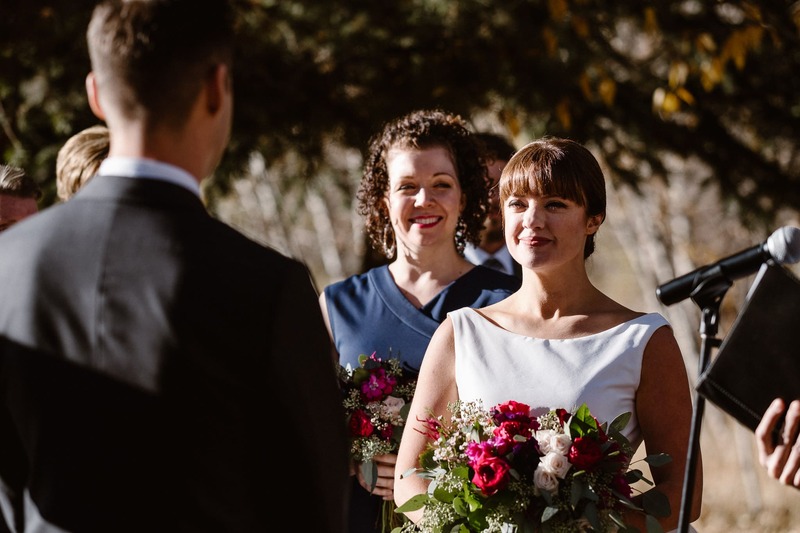 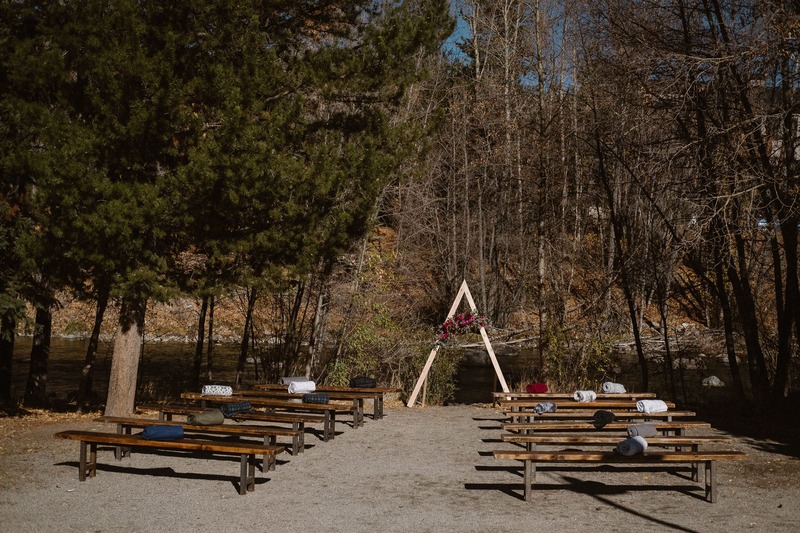 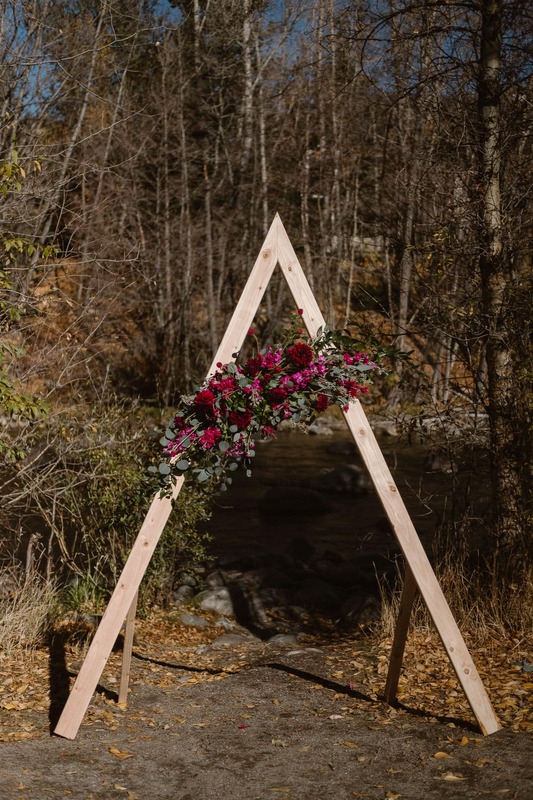 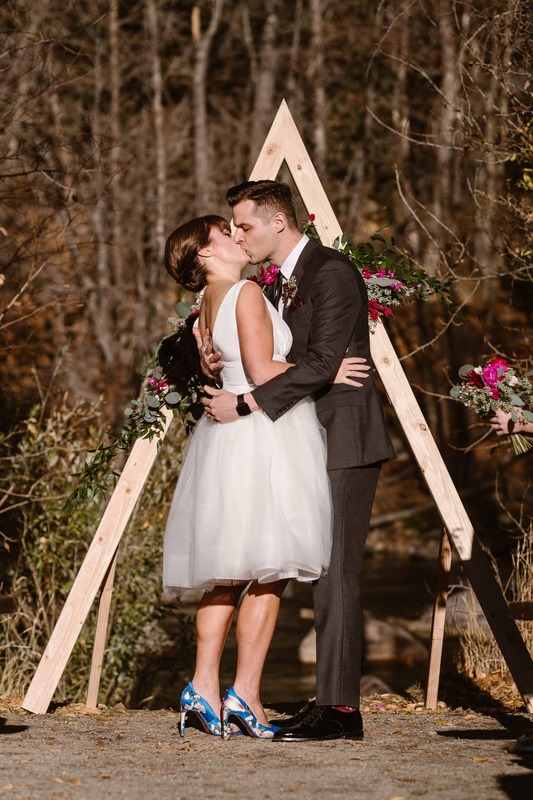 Mindy and Derik themselves were traveling in to the Colorado mountains from New York City, and most of their guests were also coming in from out of town. 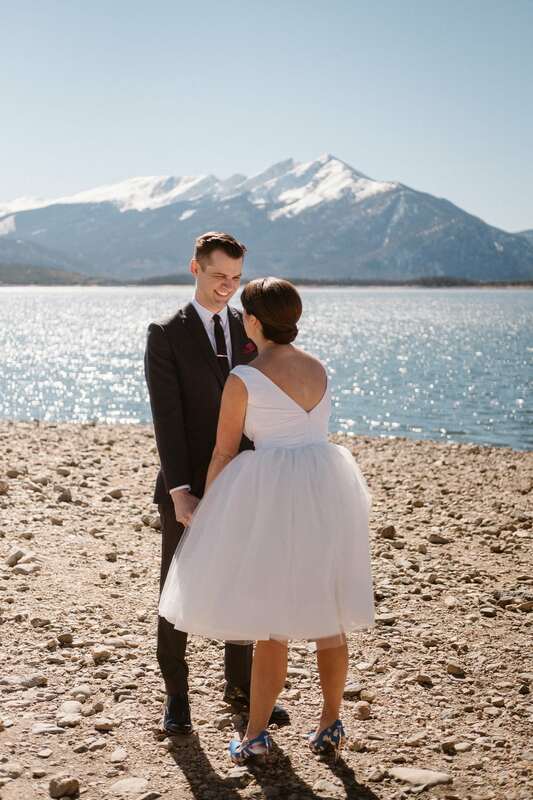 There was a huge snow storm in the forecast, but lucky for all of us it decided to hold off just long enough for us to get a beautiful sunny day with clear blue skies! 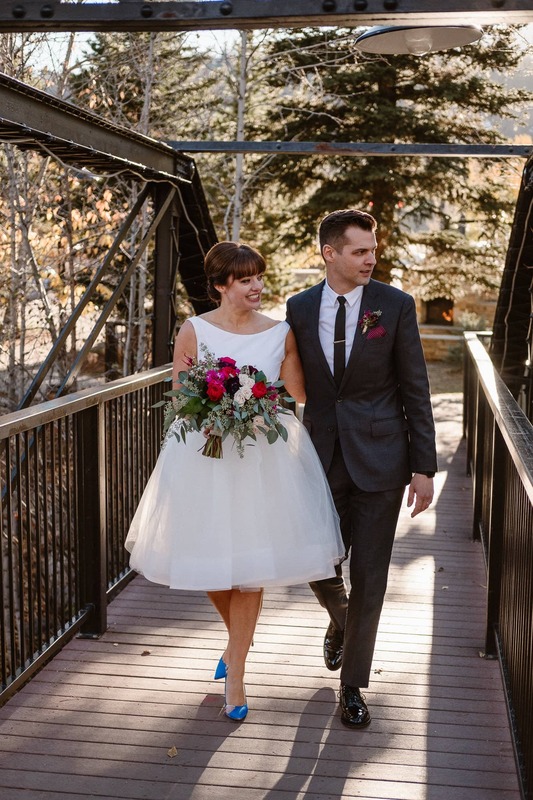 Mindy and Derik were so chill leading up to their wedding day, and I think it helped (for me too!) 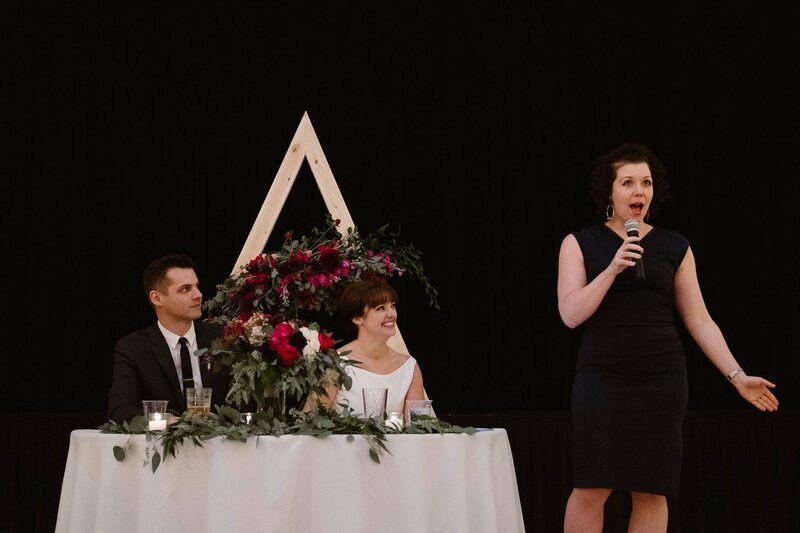 that they were working with Kira Carlton of Events by Kira as their wedding planner. 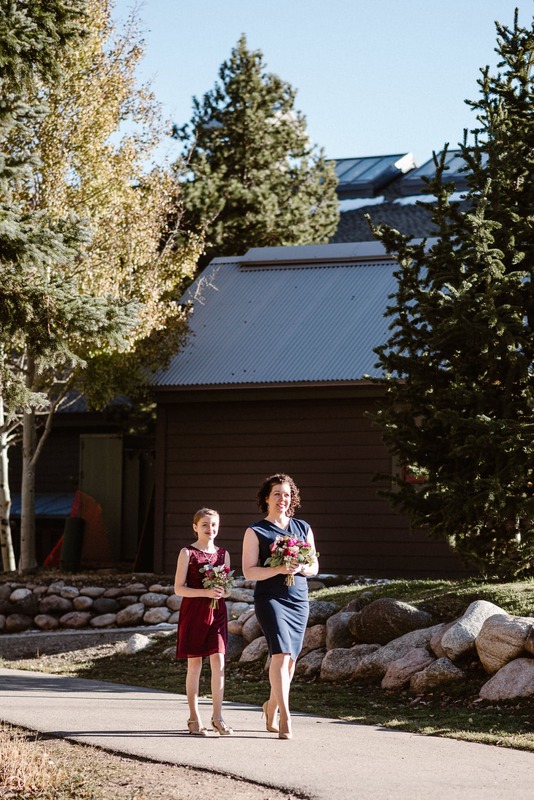 This was my second time working with Kira this year (the first was at a beautiful private ranch wedding in Aspen! 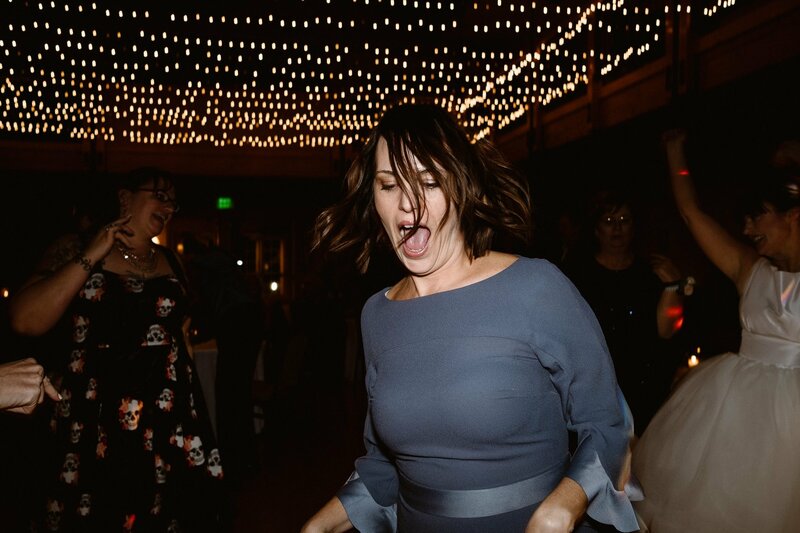 ), and I swear she makes the most relaxed timelines out there. 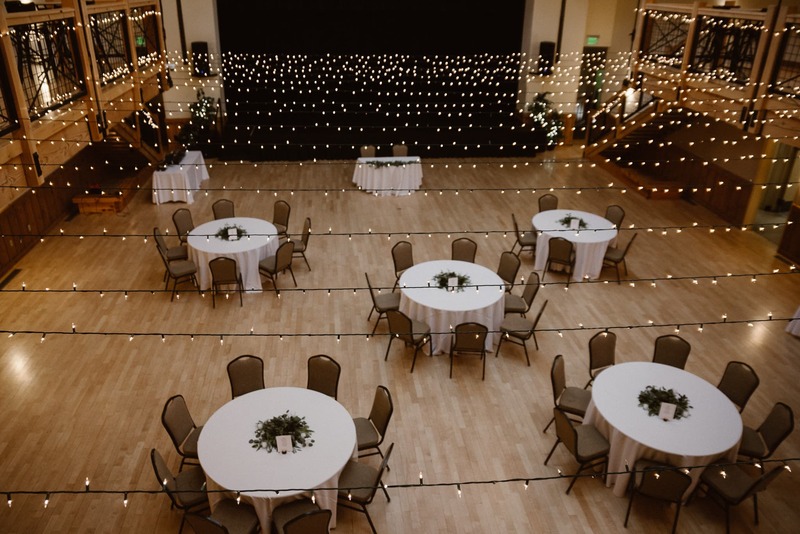 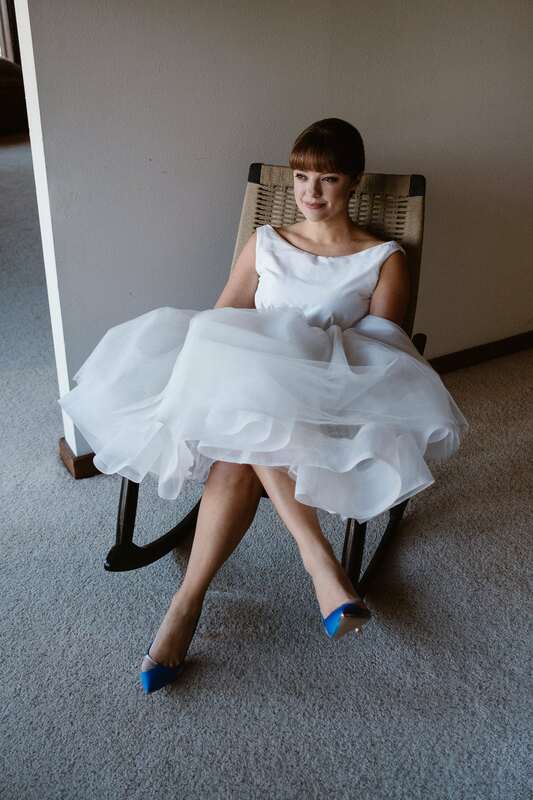 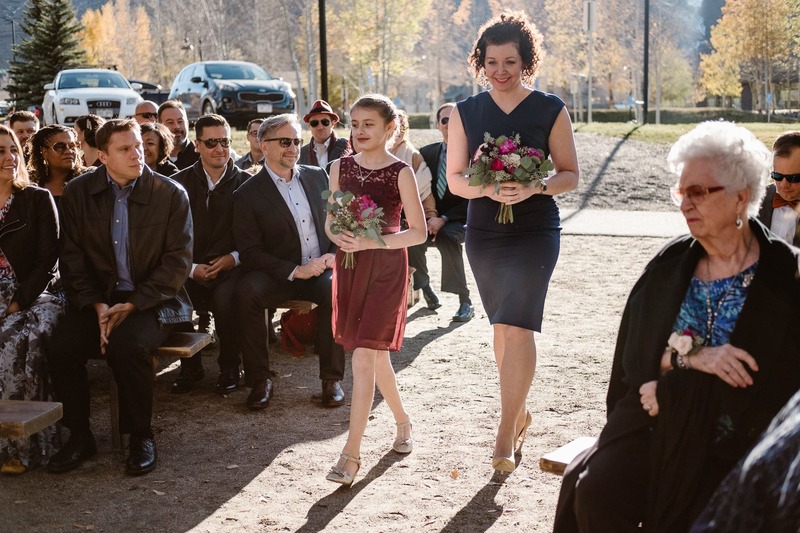 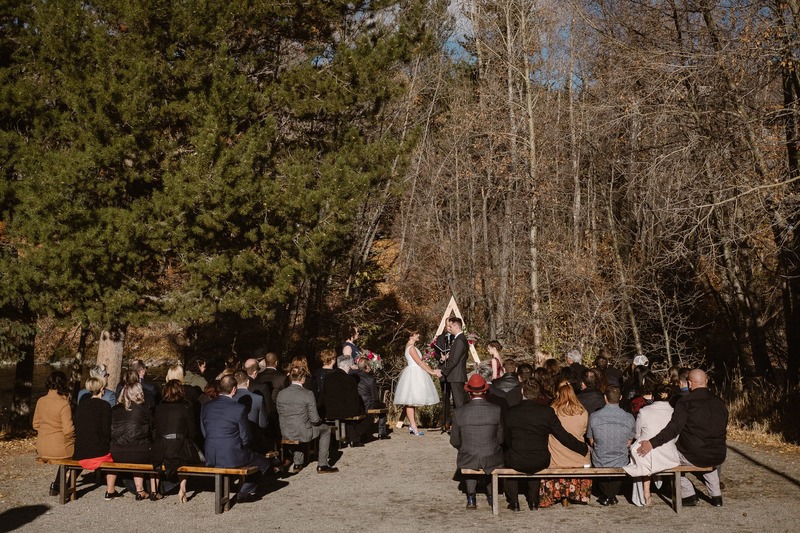 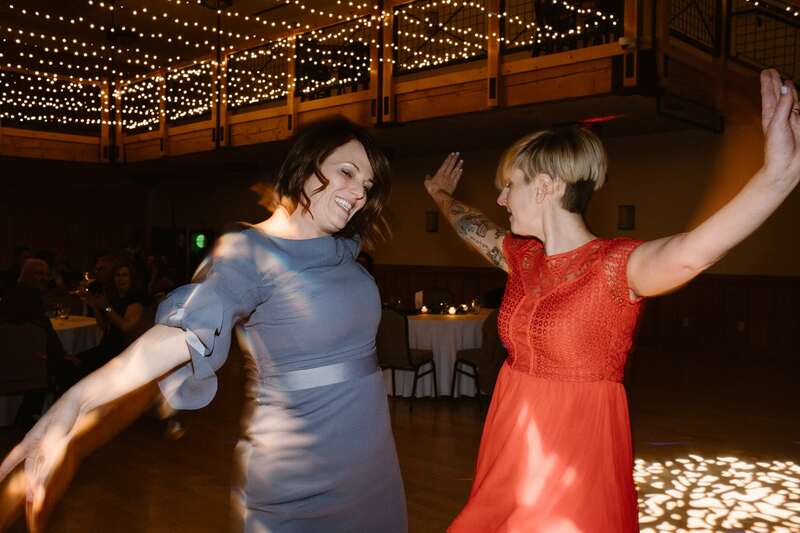 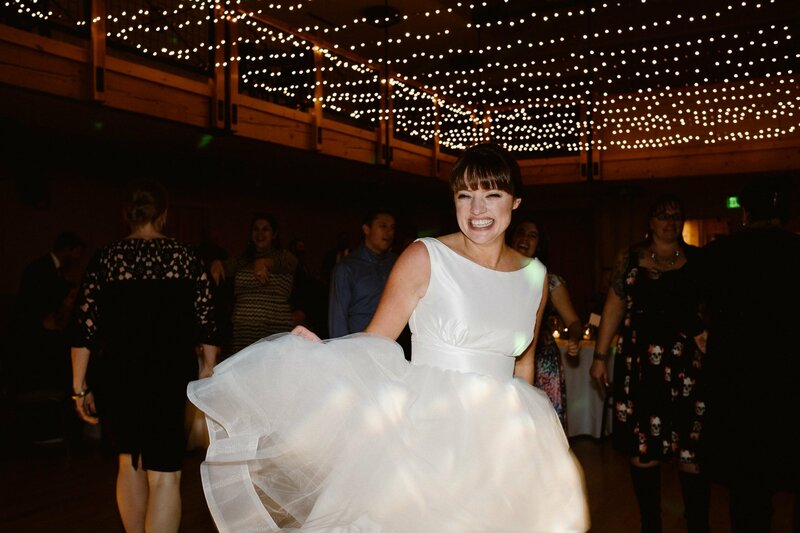 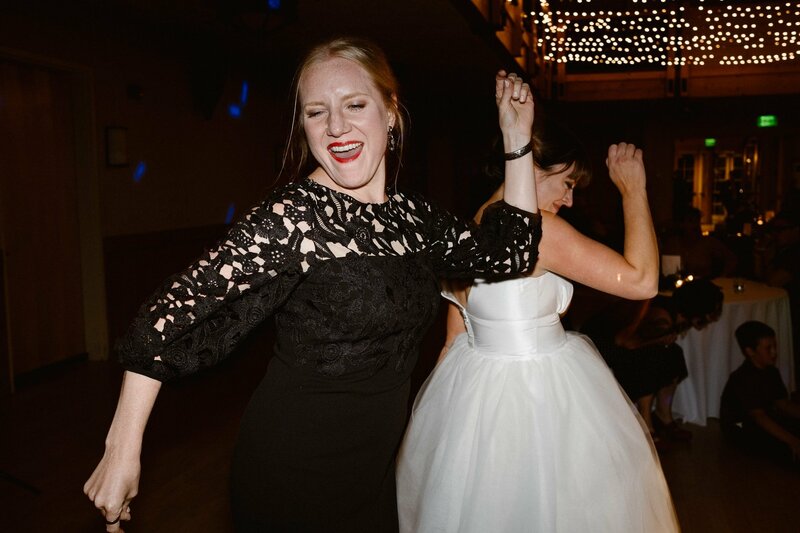 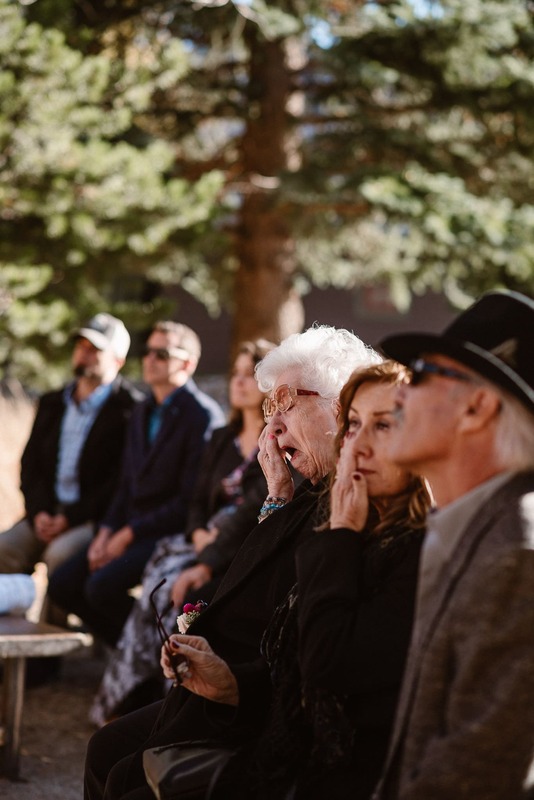 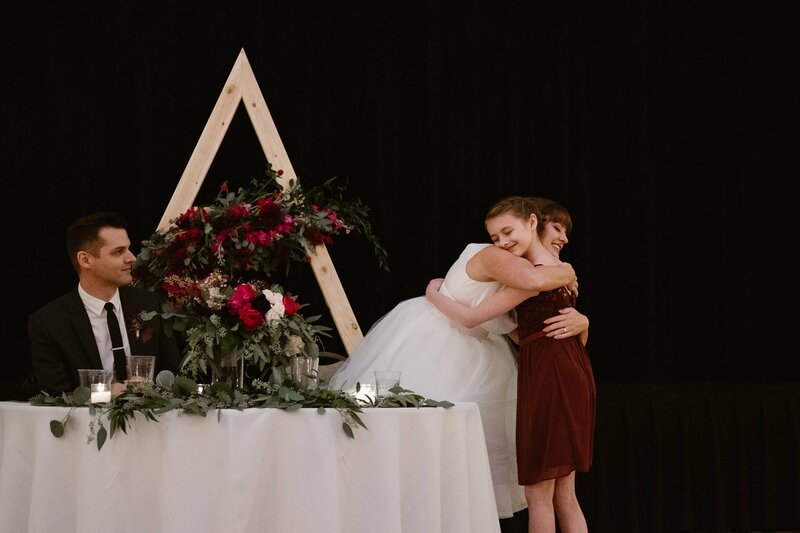 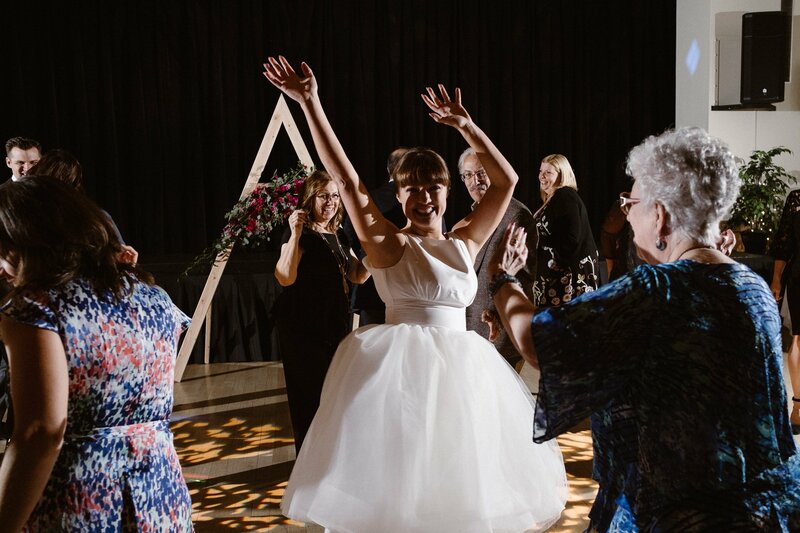 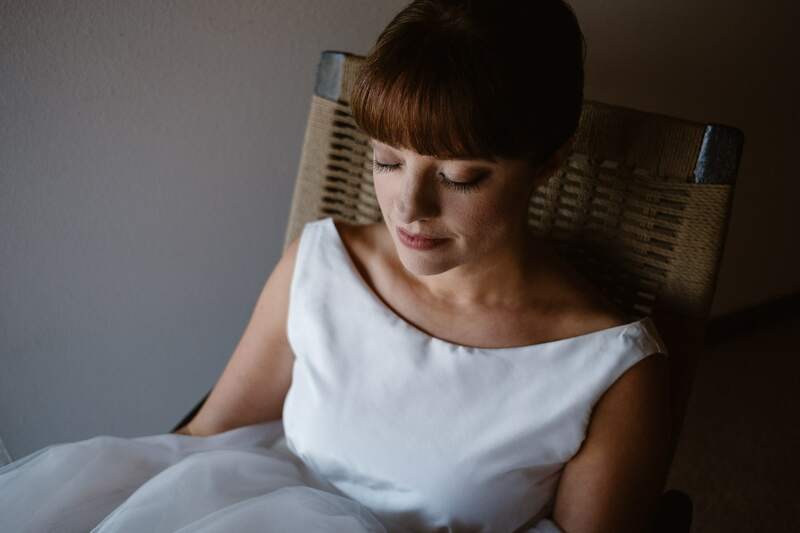 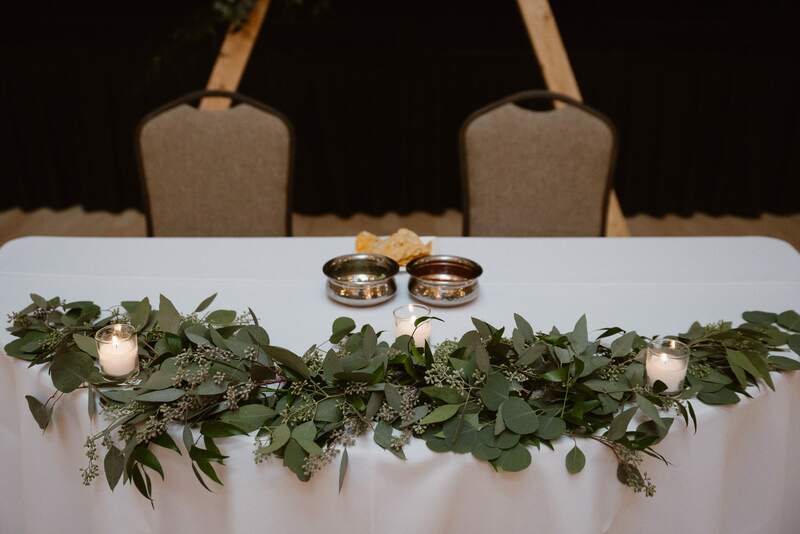 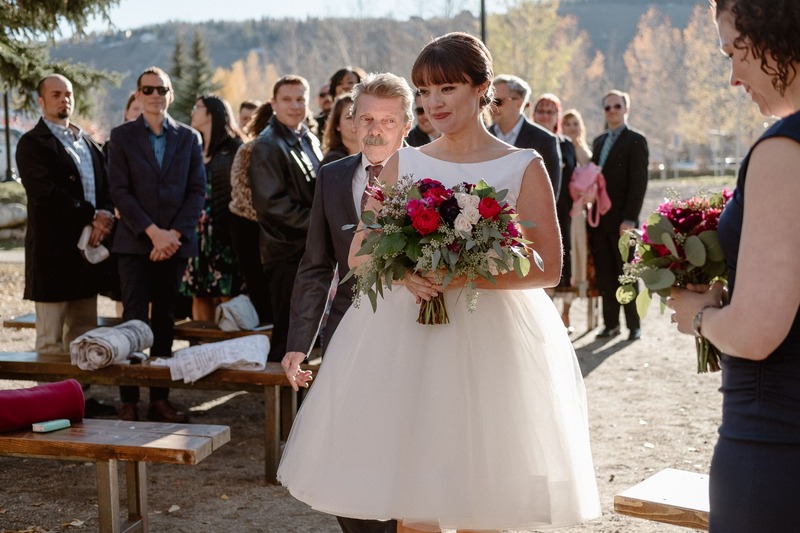 During this whole Silverthorne Pavilion wedding, we had lots of cushion time for the couple to hang out with their guests, which is so much better for everyone involved than a rushed timeline with tons of planned events and no margins for breathing in between. 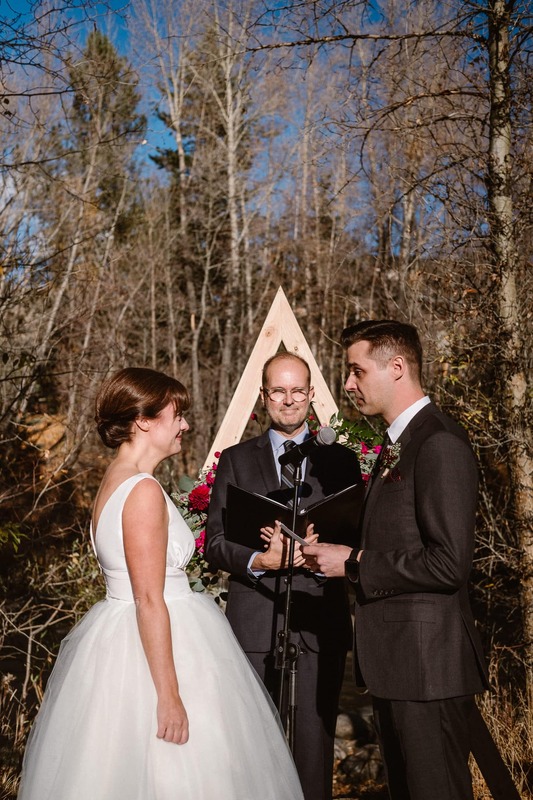 I love when my couples choose to do their own thing instead of just blindly following all the wedding traditions that have no real meaning to them. 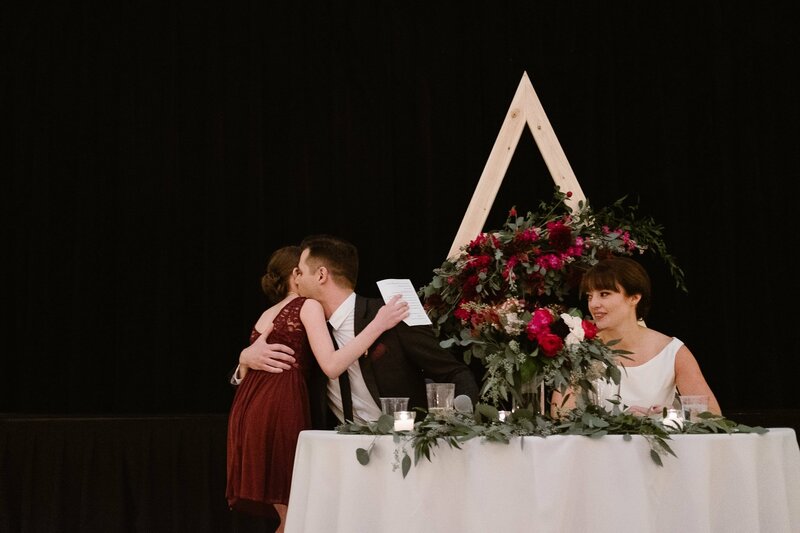 One of the ways Mindy and Derik did this was to schedule their cocktail hour before the ceremony, so that they could say hi to their guests and enjoy a drink before the big moment! 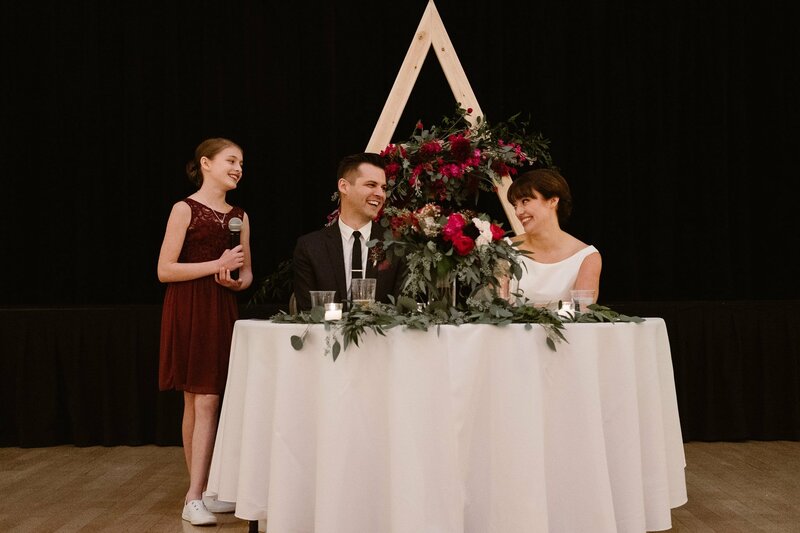 Another was how Derik’s daughter was his “best lady,” and I won’t forget their adorable choreographed shark dance any time soon! 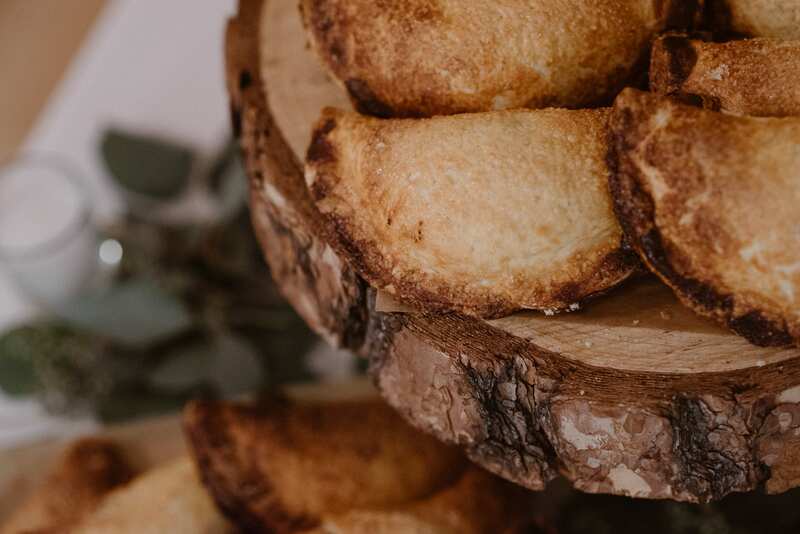 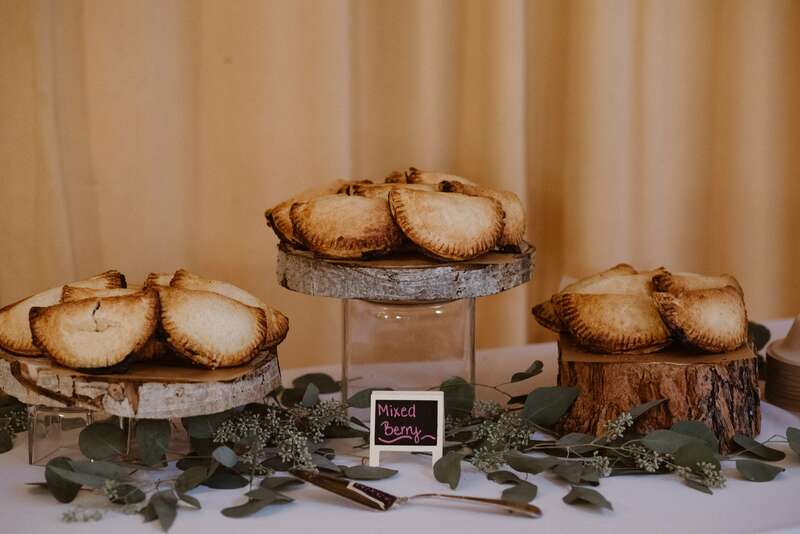 Instead of a normal wedding cake, they had individual pies, and their wedding buffet was a delicious taco bar by Fresh Tracks Catering. 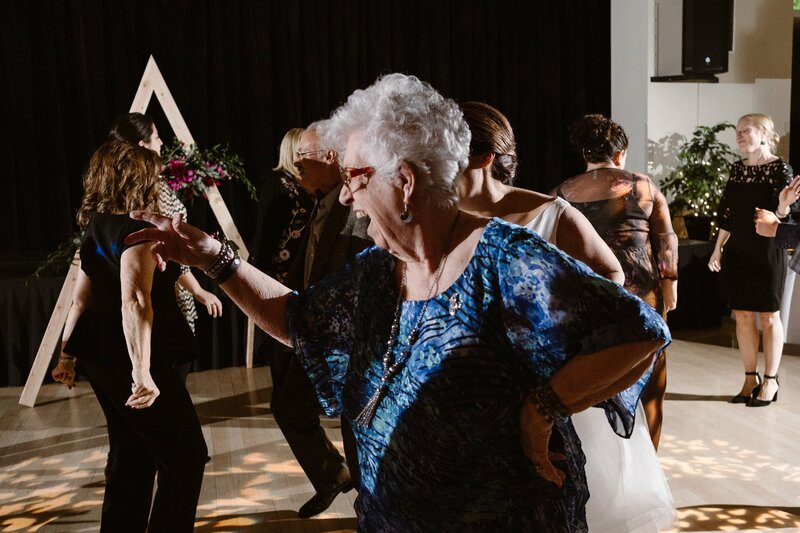 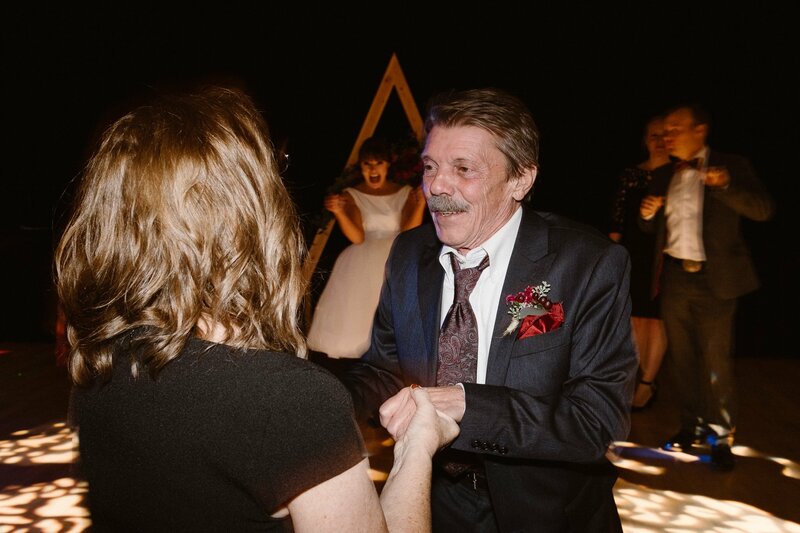 At the end of the night, after photographing everyone’s best dance moves (including Mindy’s grandma! 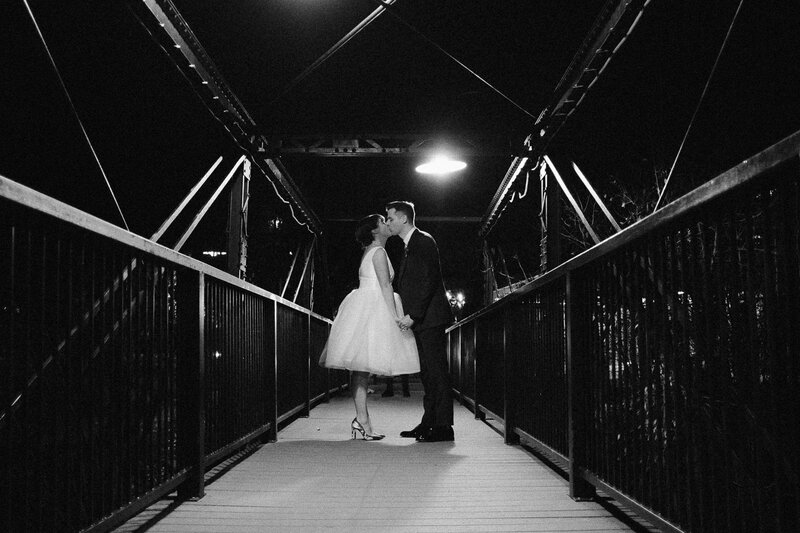 ), I snuck outside with Mindy and Derik for one last photo on the bridge that crosses the Blue River right outside of the Silverthorne Pavilion. 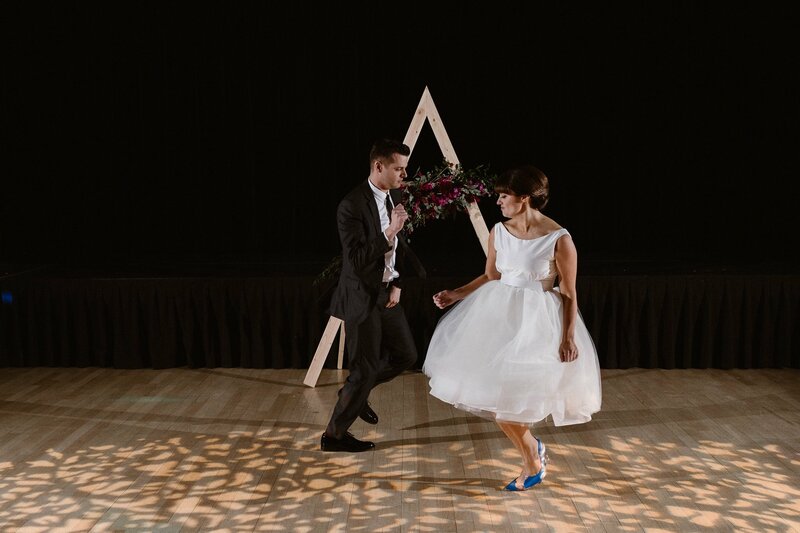 With their old-school Hollywood looks, their final photo looks like something out of an old Fred Astaire movie! 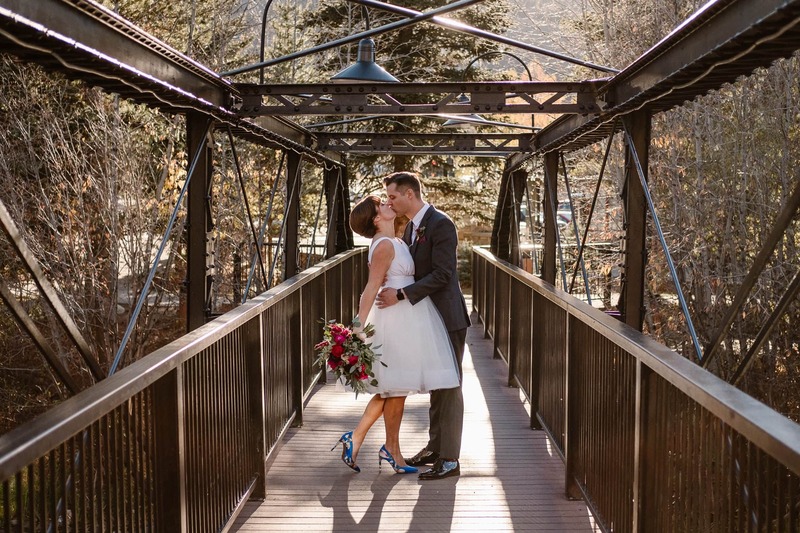 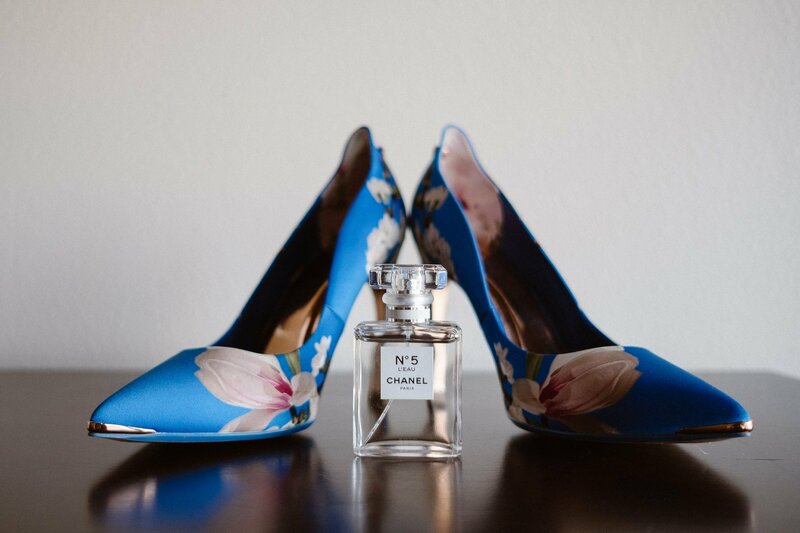 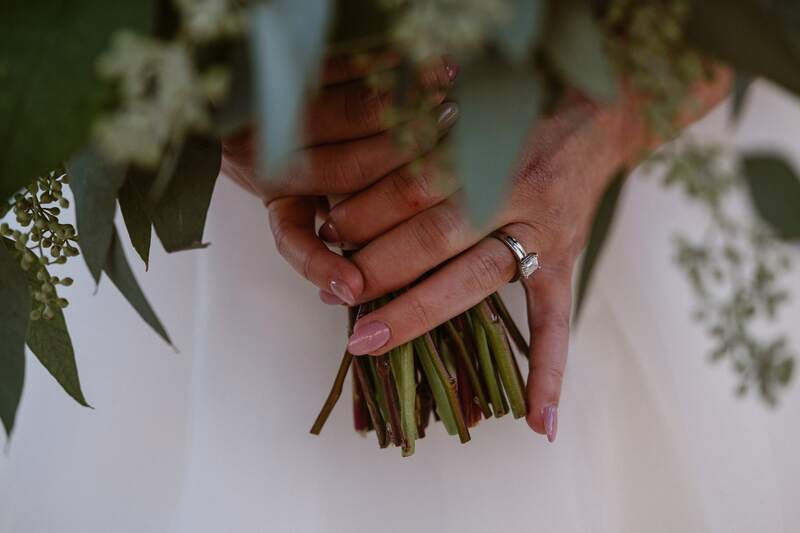 If you are planning a Silverthorne Pavilion wedding and you’re looking for a photographer, I would love to chat with you about your big day. 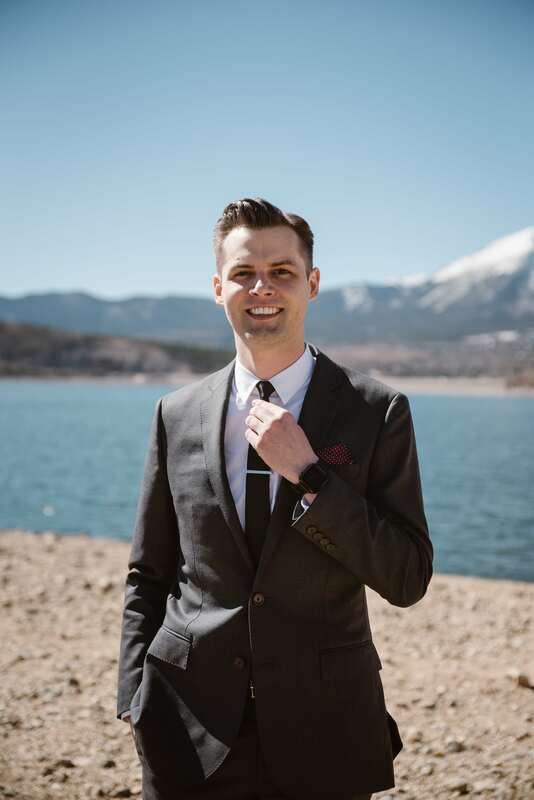 Take a look at my pricing and how I work, then get in touch! 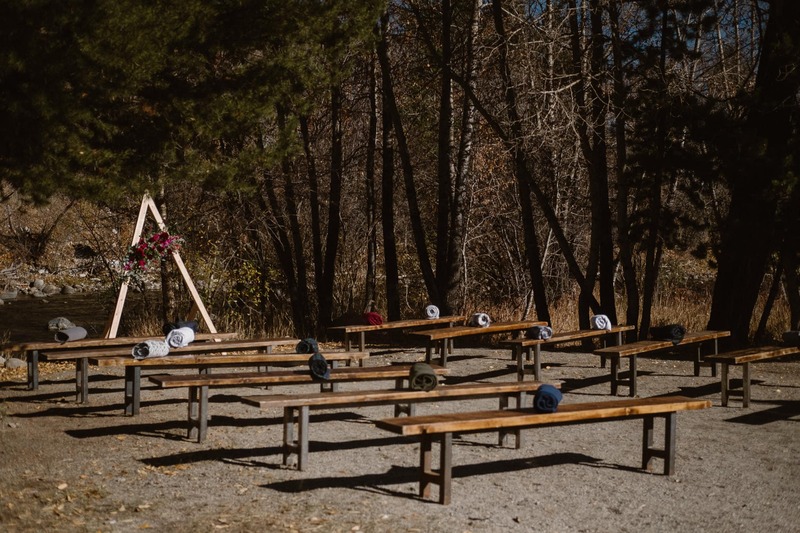 Shoutouts to all the fantastic vendors who helped make Mindy and Derik’s Silverthorne Pavilion wedding such a beautiful day!